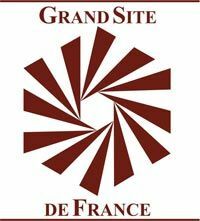 The label “ Grand site de France” created in 2009, is awarded to local structures for the proper management of classified sites popular with tourists. The Marshes were certified on May 20, 2010. This is the seventh Grand Site de France after Mont Sainte-Victoire, the Pont du Gard, the Pointe du Raz, Orgnac, Bibracte-Mont Beuvray and the Puy de Dome. This label approved the work for the preservation and enhancement of 18,553 hectares classified as heart wet marshes. It reflects in particular the immense value of maraîchin heritage, which is a pride and a factor in promoting eco-tourism, and at the same time a responsibility under this legacy.